A moist and tender cake is satisfying and delicious, but what most of us remember is the sweet, creamy icing on top. Whether you make it yourself or buy it from the supermarket, icing adds both decadence and whimsy to cakes. Icing (or whipped icing) and buttercream are two of the most common ways to decorate a cake, and though they are similar, there is a key ingredient that distinguishes the two. 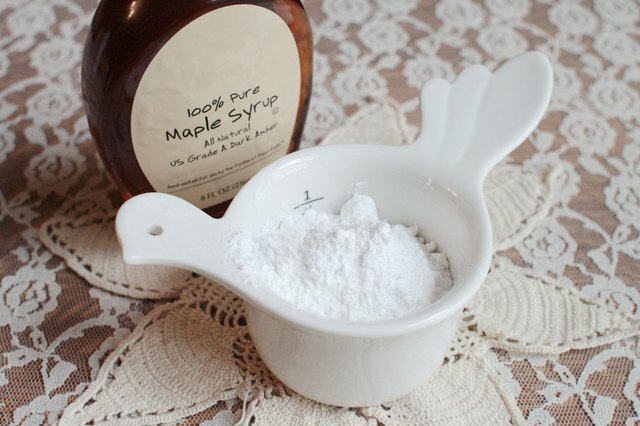 Icing is a simple mixture of any liquid (lemon juice, maple syrup, coffee or water) and confectioner's sugar. Because it doesn't contain protein (eggs, butter), icing will harden more quickly and taste sweeter than buttercream. 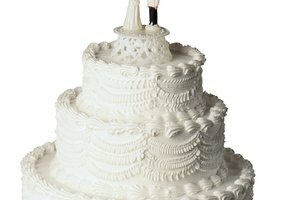 Whipped icing is created by incorporating air into the icing using beaters or a stand mixer with a whisk attachment. Whipped icing is lighter and easier to spread, but will still dry hard. 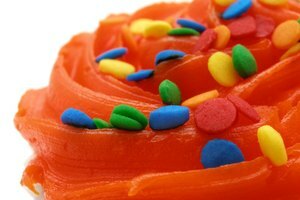 Buttercream is a type of icing that most bakeries use when icing cakes. It's a rich and creamy type of icing that only hardens slightly and keeps for just a few days. There are several variations of buttercream. Simple or American buttercream is made by beating softened butter and confectioner's sugar together to reach the desired consistency. French buttercream calls for egg yolks, while Italian buttercream uses boiled sugar that is beaten into whipped egg whites, and custard-based buttercream involves pastry cream or custard. 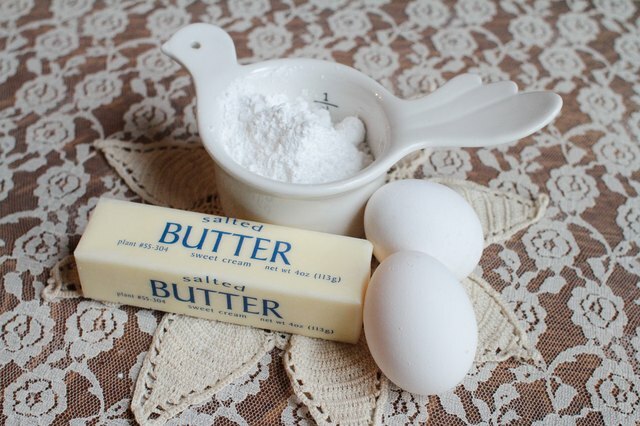 Whatever the technique, the common thread is that butter is always beaten into the product, which makes it a buttercream. The basic difference is whether butter is incorporated. 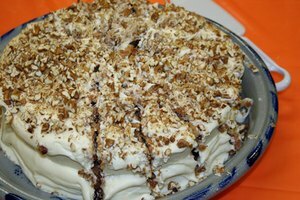 It makes icing creamy, buttery and rich, while omitting it creates a sweeter, sitffer icing that is more similar to a glaze. Many supermarkets sell pre-made icings in tubs, and offer both whipped and buttercream varieties. The whipped variety is a light and fluffy icing, ready for spreading while the buttercream refers to the flavor of the icing. If you want your cake to have an icing that tastes rich and creamy, always opt for buttercream. Make a decadent chocolate icing using ganache. Over a double boiler, heat 2 tbsp. 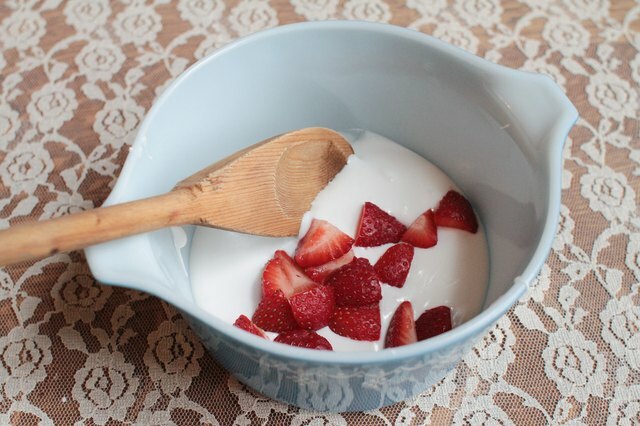 unsalted butter and 3/4 cup heavy whipping cream to boiling, then immediately pour it over 8 oz. chopped semisweet chocolate. After a few minutes, stir the cream and chocolate together until shiny. Dip cupcakes into the ganache or drizzle decoratively over a cake. After the ganache cools, you can whip until fluffy using a hand mixer for a lighter icing. 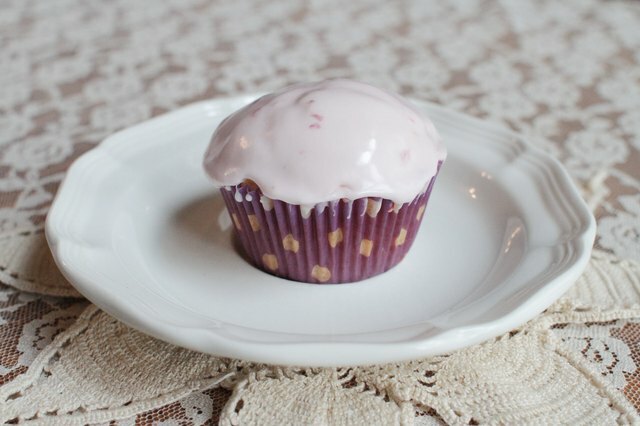 If you buy your icing at the supermarket and wish to fortify the flavor, add an extract like orange or almond, fold in chopped strawberries or pistachios, or whip in a coffee-flavored liquor. 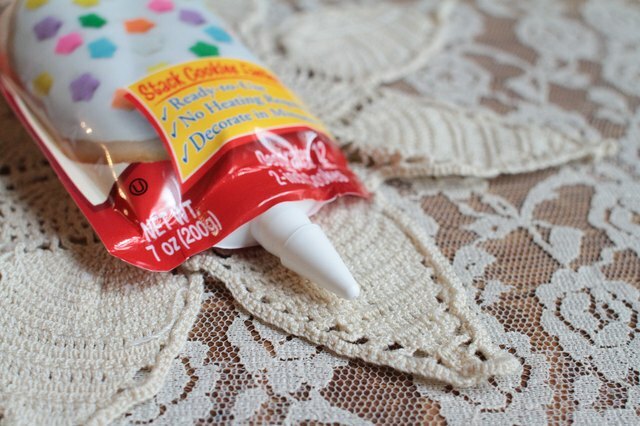 Doing this is an easy way to put a personal touch on store-bought icing.